Experience a contemporary take on old-school luxury travel. 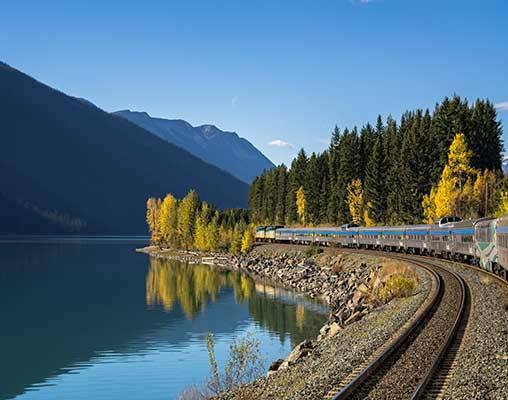 On this transcontinental rail trip from hip, outdoorsy Vancouver to cosmopolitan Toronto, you’ll enjoy the elegance and comfort of VIA Rail’s new Prestige Class. From the sleek leather sofa in your roomy cabin, you can put your feet up and take in the beautiful views of the Canadian wilderness. VIA Rail’s Prestige Class provides personalized concierge service, all-inclusive bar service, and priority dining reservations. Every detail of this grand class of service is designed to make your Trans-Canadian journey unforgettable. 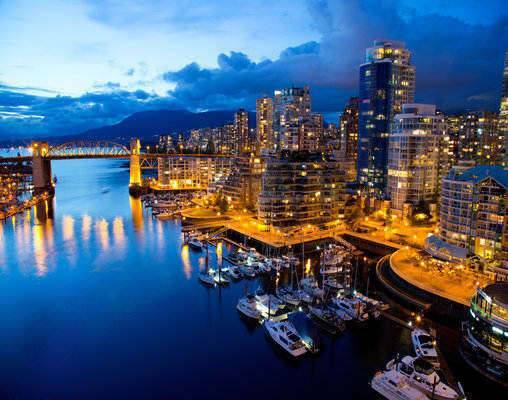 This itinerary is also available from Toronto to Vancouver based on your travel preference. Your flight arrives in Vancouver today. 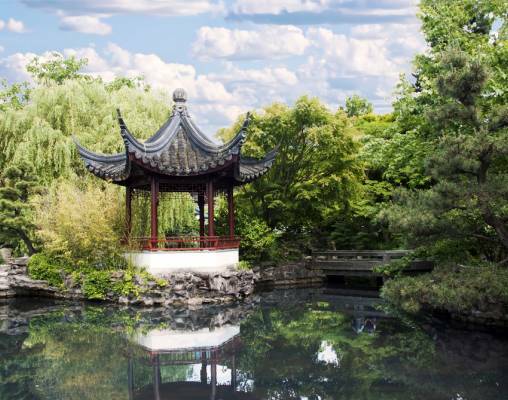 As Canada’s third largest city, this destination is steeped in arts, culture and fantastic amenities at every turn. Transfer to your hotel independently, and once you have checked in, you will have the rest of the day to enjoy the salty air and the magnificent sights. Overnight Vancouver. Spend the day exploring this coastal city with a Hop-on Hop-off bus tour - the perfect way to see Vancouver’s most beloved attractions. 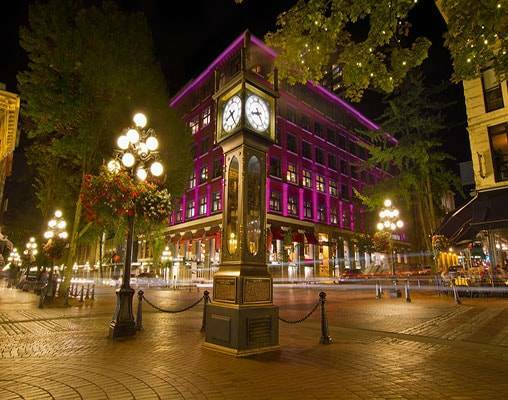 You will enjoy looks at landmarks, such as Stanley Park and Granville Island; see attractions, including the Vancouver Aquarium, English Bay Beach and the Robson Street Shopping District; and get a deeper understanding of the region’s vast culture as you travel along the cobbled streets of Gastown. As you make your way through the city, check out the abundance of eateries and cafes to get a taste of true Vancouver. Overnight Vancouver. Enjoy a look at Toronto from a local’s perspective with a Hop-on Hop-off sightseeing tour of the city today. Aboard a double-decker bus, you will travel along a 12-mile loop through the center of the city. 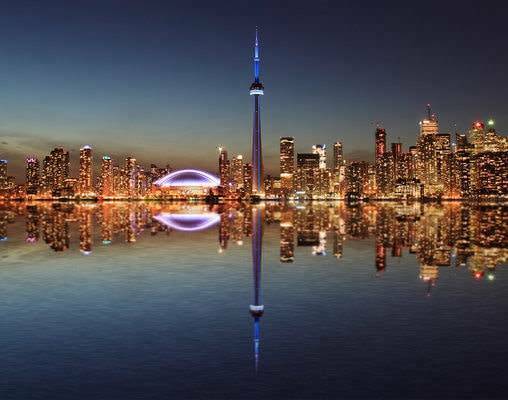 Along the way, sites such as Eaton Center, Casa Loma, the Bata Shoe Museum, Chinatown, the Hockey Hall of Fame and the famed Distillery District. You may “hop” on and off the bus at your leisure to get a better look at these incredible sites. Following the tour, you may spend your last evening in Toronto however you see fit. Overnight Toronto. Your Trans Canada rail tour comes to a close this morning as you check out of your hotel. Upon checkout, a shuttle will take you to Toronto’s airport where you will either return home or set out on your next great adventure. Hotels included are the Fairmont Hotel Vancouver and the Fairmont Royal York. 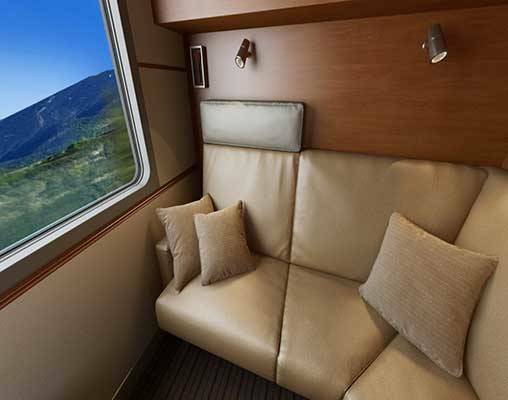 The Prestige Sleeper Class provides an exciting new level of comfort and service for travellers on the Canadian, one of the world's greatest train journeys. Each Prestige Sleep Cabin has a modular leather L-shaped couch by day and a Murphy bed for two by night facing the window with electric radiant heated cabin floors and walls that maintain a comfortable and constant temperature. Highlights of this Prestige Class includes: a personalized dedicated service by the Prestige Concierge; a spacious cabin, large windows and a private washroom with shower; flat-screen TV with video selection; minibar stocked with a selection of beverages and more. 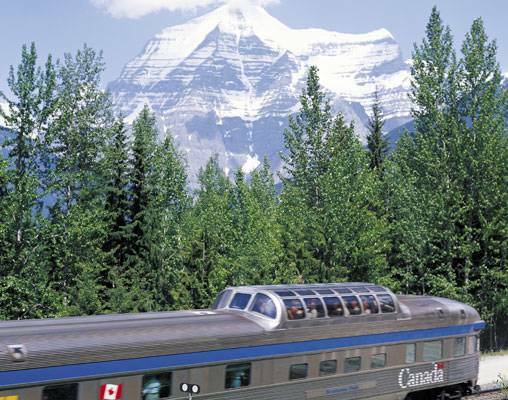 Click here to view testimonials for Trans Canada By Rail Featuring VIA Rail’s Prestige Class. Every detail of the arrangements made by VBR were flawless - accurate, first-class, enjoyable, and trouble-free. VBR staff provided excellent service throughout the entire process, and made my individual adjustments to the standard itinerary easily and efficiently. Everything was handled very professionally and nothing was left undone. The trip was beyond our expectations. Efi did an excellent job in helping my wife and I make decisions on what we were looking for in our trip. Enter your details below if you would like to be notified when 2021 dates and prices are available for Trans Canada By Rail Featuring VIA Rail’s Prestige Class. Prices are correct at the time of publication, however are subject to change at time of booking. Rates are in US Dollars, per person, double occupancy. Taxes are not included on rail portions and are subject to change. Senior rates are available. Ask a rail specialist for details.